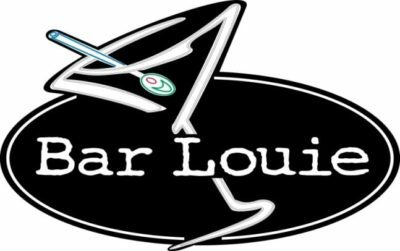 Looking for some Bar Louie menu prices or nutrition info? Do you want to take a peek at the Bar Louie secret menu? Then read on, because this guide will tell you all you need to know about this bar and restaurant chain, as well as a few hidden secrets that may surprise you. So, pull up a stool, pick-out a cocktail and sit back. Things are about to get interesting. Bar Louie is a growing chain of casual dining bars. It caters for the younger crowd with an elegant night-club setting and an extensive drink’s menu, but it also offers a food menu and the sort of service you would expect from a popular restaurant chain. There are more than 70 Bar Louie locations across the United States. But while that number may not be particularly high, this chain is still expanding. It is seeking new franchisees and looking to tap into new markets. Bar Louie has come a long way since its inception in the early 1990s, but it has its sights set on the big time and could be huge within another decade or so. Many Bar Louie locations can be found in shopping malls and hotels. This preference for high-traffic areas is more commonly seen in grab-and-go fast food chains like Dunkin’ Donuts and Auntie Anne’s. But it has worked very well for Bar Louie over the years. There is an extensive drinks menu at Bar Louie. You can order all kinds of cocktails (they serve a mean Martini) and there are plenty of party drinks as well. If you’re there with a group of friends, grab a pitcher of sangria, a bottle of wine or two and enjoy yourself. If you’re a designated driver, there are also many non-alcoholic drinks under their “Zero Proof” menu. But it’s not just about the booze. Bar Louie also has a food menu and many of these dishes are perfect for snacking on while you drink. They include flatbreads, burgers, salads, sandwiches and other snack items. It’s not the sort of place to sit and have a hot meal. Bar Louie is all about the booze, the sharing and the snacking. Casual dining locations don’t have the best secret menus. There are exceptions to that rule (the Nando’s secret menu and the Buffalo Wild Wings secret menu being two) but they don’t come close to fast food versions like the Five Guys secret menu. When you add a casual bar into the mix, the options tend to be even smaller, which is the case with Bar Louie. The Bar Louie secret menu does exist, and like all secret menus, it is growing as this trend becomes more popular. However, it is a long way from competing with some of the other secret menus on this site, both in terms of size and quality. The Bar Louie secret menu is somewhat similar to the TGI Friday’s secret menu and even the Hooters secret menu. It’s small, it’s obscure, but it’s well worth it if you’re a regular at this chain. Bar Louie menu prices are okay. But you’re always going to pay a little more in a location like this. It’s more of a bar than a restaurant, and the upscale ambiance, as well as the quality of the food and drink, pushes up those prices a little bit. Their flatbreads and other shareable meals cost between $10 and $15; their salads and smaller menu items are as much as 50% cheaper; and you’ll pay around $7 for a glass of wine and around $25 for a bottle. Of course, it all depends on the quality of the drink, as the wine menu and the cocktail menu is extensive. To see a full list of Bar Louie menu prices, read our Bar Louie Menu Prices page. This is updated regularly and contains all menu items and prices. There are a lot of calories in alcohol, and if you’re getting that alcohol in the form of cocktails or sangria, you’re also getting extra sugar and calories from the fruit juices and syrups. If you’re watching your weight or your sugar intake, you might want to opt for some of their non-alcoholic drinks. As for the food, there is no shortage of healthier options available, and you shouldn’t have an issue if you are vegetarian, vegan, gluten-free or nut-free. Just make sure you consult the Bar Louie menu first. You may also want to check in with our Bar Louie Nutrition Info page. 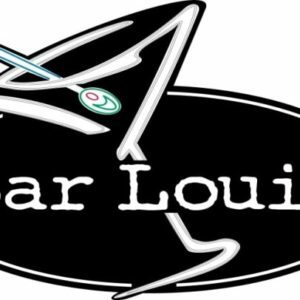 This contains calorie and sugar information for all Bar Louie drinks, and there is also a guide that covers their food as well. Bar Louie has grown steadily since its inception. From 1991, when it was first founded, through to 2016, there were just 70 locations. However, in 2016 they announced plans for a rapid expansion. These plans could see over 100 locations added to the total by 2020. And as with all franchise operations, success breeds success and popularity breeds growth. Such is the case with Jimmy John’s, who add 200 locations a year, and Five Guys, who seem to double in size every year. Once they hit their targets, then new targets will be set and this brand could see exponential growth before long. It’s all down to the whether or not it continues to be a tempting proposition for franchisees and whether or not the customers keep drinking and eating there. Happy Hour is one of the best times to visit a casual dining bar and restaurant like this, and the Bar Louie Happy Hour is no exception to that rule. You can save on drinks, pickup all kinds of deals, and generally drink and eat for less. Bar Louie also get involved with many relevant food holidays, offering special deals to coupon holders and loyal customers. They have been known to offer such deals both during National Beer Day and National Wine Day. Just check the relevant pages on our site to see if there are any upcoming offers available on these days. Bar Louie store hours vary from location to location. In all cases they are open 7 days a week, and in most cases they open from 11:00am through to 2:00am. Check with your local Bar Louie to determine the exact hours and to make sure you don’t miss out.